Written by: Juel Taylor, (also based on the characters created) Sylvester Stallone, (story) Cheo Hodari Coker, Sascha Penn and (based on the characters created) Ryan Coogler. It is incredibly hard to take a well-worn story and give it a freshness as if you have never seen it before. That’s what happened when Ryan Coolger took hold of the Rocky universe and delivered a surprise smash with Creed back in 2015. Now we get the sequel, which again takes the rifts of the boxing series and still manages to produce a knock-out piece of entertainment. 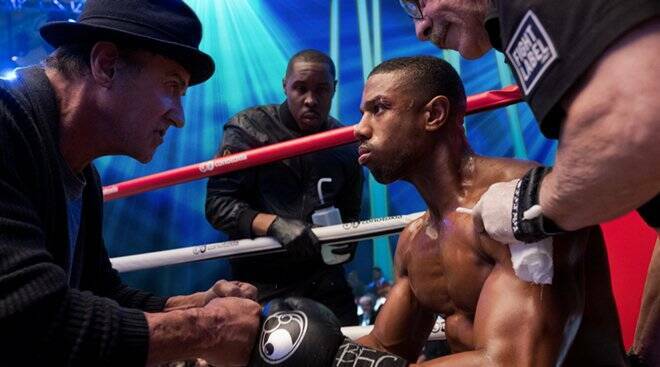 Adonis Creed, son of Apollo Creed, the main rival and eventual friend of Rocky Balboa, has stepped into his father’s shoes and become heavyweight champion. With the world at his feet, Adonis finds a new contender wants a shot at his belt. Viktor Drago, the son of Ivan Drago, the Russian boxer who killed his father. Rocky, now Adonis’s trainer and mentor, know the dangers and this will be more than just a title fight but something far more personal. 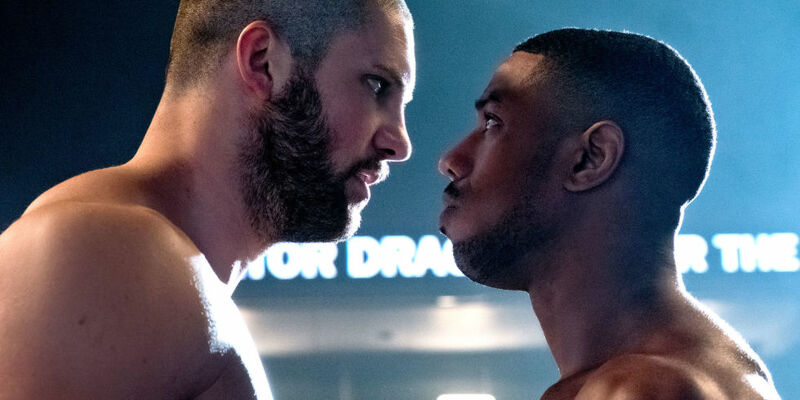 Where Coogler took beats from the original Rocky and gave them a fresh and relevant touch, this time we cover a handful of the sequels, bringing the Rocky universe well and truly into Creed’s world. With Coolger unable to direct due to Black Panther commitments, the reins are taken over by Steven Caple Jr. Although Caple Jr doesn’t have the technical expertise that his predecessor has, with a sense of real familiarity this time, it still feels new. The one thing the Rocky films we never really about was the boxing. They were far more interested in the human story, of the underdog taking on the man and winning through. It was only when the films reached Rocky IV that they became less about Rocky and his world and more about making a statement, making Rocky the all-American hero taking on the Russians and winning through. Here, we see the after effects of that movie, with Ivan Drago, the once golden boy of Russian boxing, losing everything when he lost to Balboa. Living in a slum and training his son without the technology he had, Drago is a bitter man using his son as a way of getting back into Russian society, something his son doesn’t seem interested in but hungry for the belt that Creed possesses. Creed, on the other hand, is happy with his life, with girlfriend Bianca becoming his fiancee, taking on Drago is like taking on any other fighter. Except Rocky knows this isn’t going to be any other contender. Caple Jr. doesn’t attempt to give us anything radical. We get three fight sequences, all executed well, particularly the final bout. We get the conflict between Creed and Balboa, the personal demons that the young fighter has to cope with, along with a new baby. We even get the training montage now synonymous with Rocky. Yet all these things are handled with fresh eyes so what could have been cliched feels almost brand new. We even get Bill Conti’s iconic Rocky music, which sends shivers through the spine as soon as the first chords are heard. The performances, especially from the leads, are spot-on. 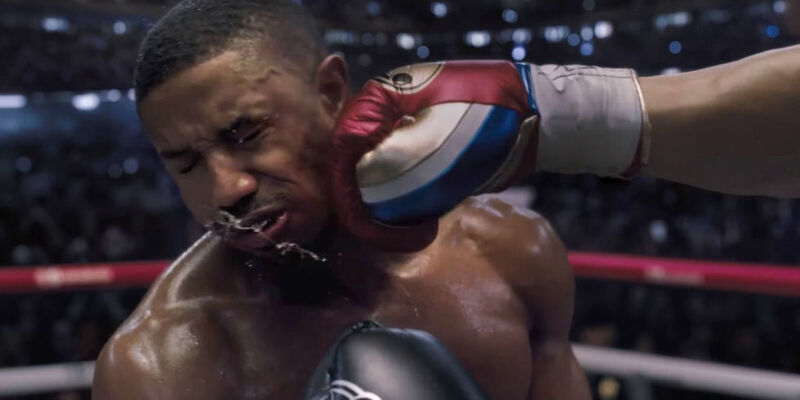 Michael B. Jordan, who managed to make Creed more than just a brutish fighting machine, builds on his world, fleshing him out to a man dealing with all kinds of emotions and decisions. Tessa Thompson is also terrific as Bianca, the deaf singer who brings Creed back down to earth. Good to see Dolph Lungren returning to the role that made him a minor star, older and a little more mellow. Yet, once again and even though this isn’t a Rocky film, Sylvester Stallone steals it from everyone as the loveable, wise old boxer. You cannot help but feel for Balboa, his loneliness, the sense of loss and the knowledge that Drago could do the same thing that Ivan did to Adonis’s father. Once scene, in which Rocky sits at the grave of his beloved Adrian is heartbreaking. 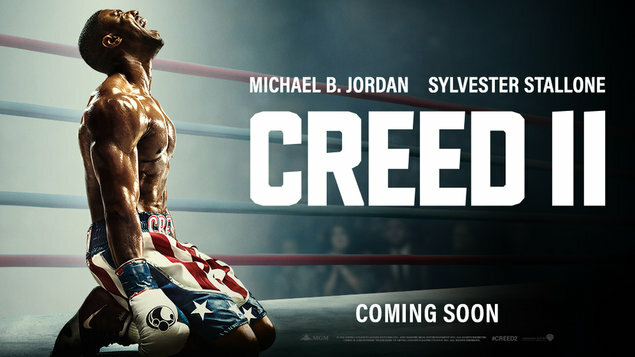 Creed II may not be as technically brilliant as Coogler’s film but this still manages to keep the attention for its 130 mins, makes you weep when the final decision is made and reminds you exactly why the Rocky films are the best for bringing emotions to the forefront. A knockout!